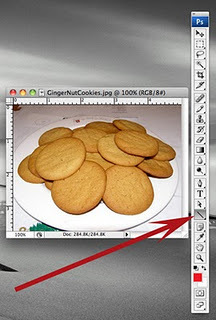 With Adobe Photoshop, open the image inwhich you would like to add an arrow. 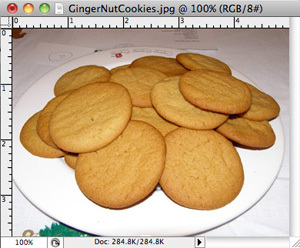 For this illustration, I am using a photo of my most recent batch of ginger nut cookies. 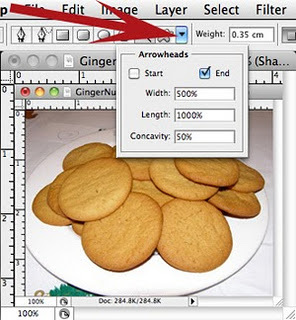 Was this post about making Photoshop arrows helpful? Thanks, but still no clues. Cannot follow whatever it was you were trying to demonstrate. Which part are you stuck on? Thanks for trying to help but this is way to old a version. 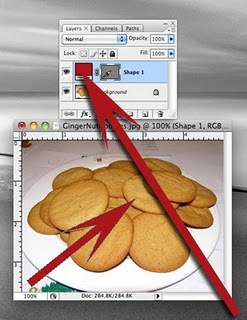 You’re right, CS3 is pretty old now. We’ll try to get an updated version posted soon.